Contemporary Small Courtyard Garden in Cheshire—2015 Shortlisted SGD Finalist Awards: Pocket Garden Category—Our client approached us to design their small courtyard garden after having seen our show gardens at both RHS Chelsea Flower Show 2012 and RHS Tatton Park in 2012. 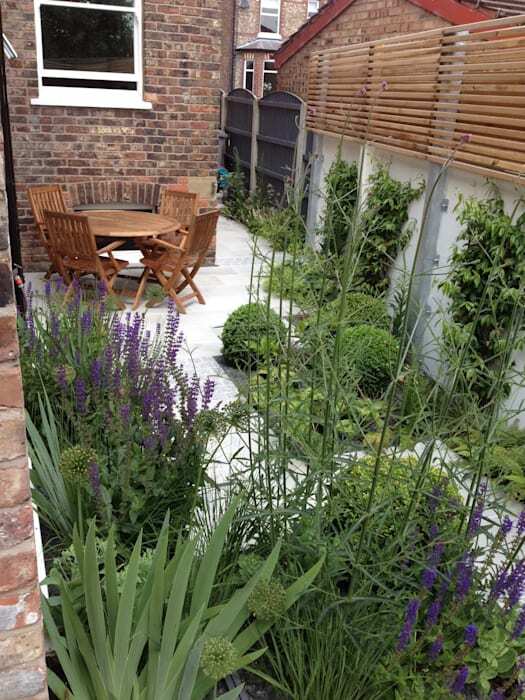 Spatial planning was paramount in this design, as the garden was a tiny 80 square metres with a corridor like feel to it, made worse due to a protruding extension into the garden. Aralia worked to maximise the functionality of the garden space, whilst also ensuring a beautiful view would be seen from within the property. To achieve this effect, we focused on creating a mix of levels to capitalise on the existing space, as well as adding a terrace that served as an ambient seating area, which could be easily accessed from the kitchen.